Hey guys! Can you believe we're already into August? I feel like this summer is passing by in a blink - which is pretty usual, isn't it? Anyway, I'm personally super excited for this summer to pass because at the end of it one of my best friends is coming to visit me for my birthday and I haven't seen her in year, but people keep telling me not to rush through summer! 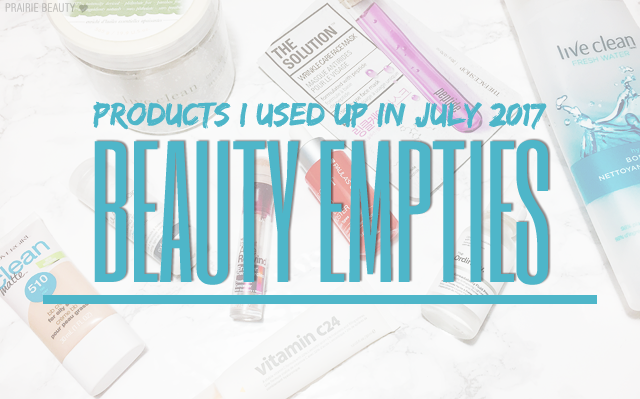 Anyway, with the end of the month, of course, comes empties! I think I have a decent amount of stuff I've used up this month and there's definitely some serious winners in this bunch so definitely keep reading to check them out! 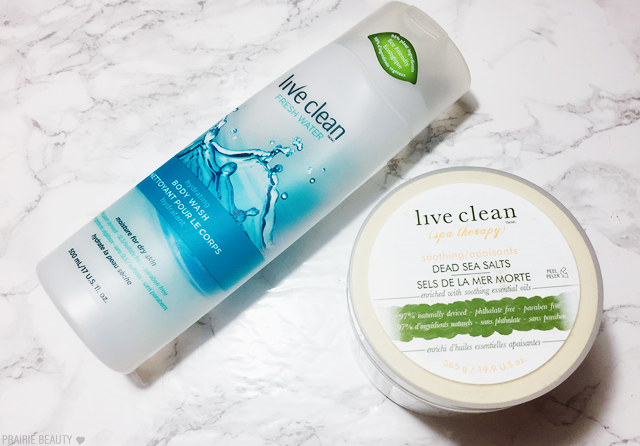 I love love love the Live Clean Body Washes, but this one is actually the scent that my boyfriend uses - and he smells so fresh and so clean when he gets out of the shower. He's actually already into another bottle of this, so if you or someone in your life really likes a fresh scented body wash, definitely check this one out. I have a feeling this will be a constant re-up for him. I'm into my third tub of these and I absolutely love them. The scent is perfect for those days when I really, really need a bath to calm my mind down and unwind and the way it leaves my skin feeling after a bath is gorgeous. Honestly, I highly, highly recommend these - but give them a sniff first, because the scent is very strong and if you don't like it, you're probably not going to love these. As far as I'm concerned, Paula's Choice is basically a must when it comes to liquid exfoliants. 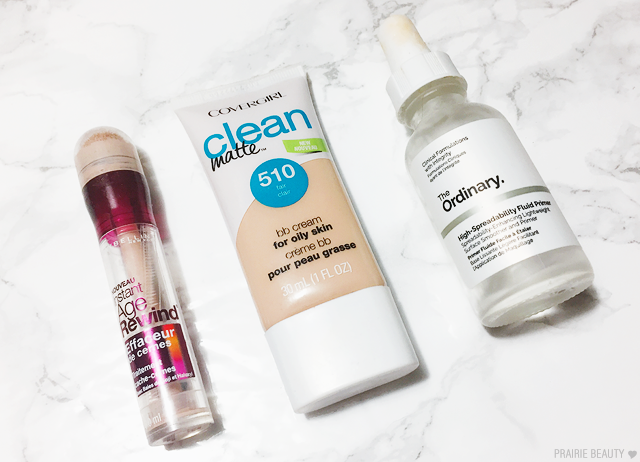 The formulas are really gentle on the skin and I can reach for them every day without my skin getting irritated or out of balance, but they're also really effective. I'm actually using another one of her BHAs right now, but I'd definitely use this one again as well. This product was really a surprise for me. As I continued using it, it became a staple in my daytime skin care routine because it's so lightweight but really works well to brighten and protect the skin. I feel like this is one of those PC products that has a bit of a cult following - and it's for good reason. 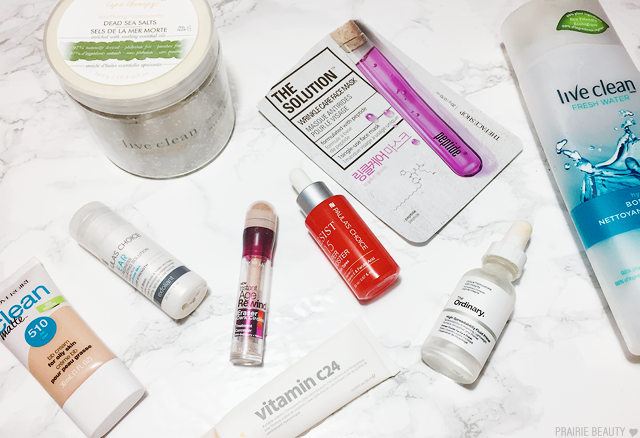 I'm testing out some other Vitamin C products at the moment, but I'll definitely repurchase this in the future. I really, really enjoyed using this product and I definitely would use it again. I find this is definitely a night time Vitamin C for me, because it's quite intense. One thing I absolutely love about Indeed Labs products are that they're solidly good formulas that are easily available here in Canada at Shopper's Drug Mart and they're a really reasonable price. I will likely repurchase this at some point as well. The Solution masks from THEFACESHOP are my favorite sheet masks. Period. They're just great. I love the way they feel when they're on and my skin always feels really hydrated when I'm finished. 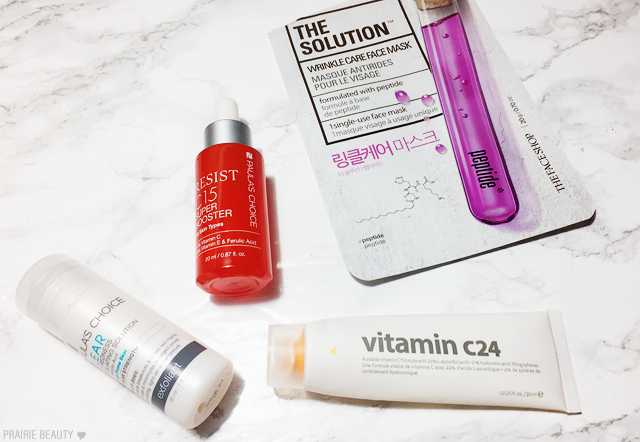 There are different versions of this and I think the Vitamin C one is my favorite, but I do love peptides in my skin care so I will likely repurchase this one. I mean, these masks are really affordable too, so why wouldn't I? This concealer is one of those cult drugstore products and I hadn't actually used it in a while, so I picked it up. I don't think I'd ever actually used one of the actual shades because I'd always used the brightening version in the past, but this worked really well. I do like this concealer quite a lot, but at over $10 in Canadian drugstores I feel like it's a little more spendy than I like. Will still probably repurchase at some point though... I mean, really. Okay so... Formula wise, I like this. But it's not a BB Cream. It's a matte foundation. As far as I can tell, there's no skin care included in the formula and it doesn't have an SPF, which in my opinion means it's not a BB Cream. Just had to give that a mini-rant. That said, it's a solid formula with good coverage at a super affordable price. I don't think I'll repurchase because I have another drugstore matte foundation that I prefer, but it's solidly good. I LOVE LOVE LOVE THIS. I actually don't use primer most days, but before I ran out of this I was using it constantly. It just gives the most beautiful look to the skin and makes makeup apply like a dream. I really can't say enough good things about it - it might be my favorite product from the entire The Ordinary range - and I'll definitely be repurchasing on my next order. Annnnnnnnnnnd there you go. A month worth of stuff I used up - and a lot of solid products. In fact, a lot of these products are already repurchases, so you know I really like them. Of everything in this entire post, though, I think the one thing that I would jump up and down and recommend is the The Ordinary Primer, because it's just that fantastic. Anyway, thanks for reading and keep an eye out for my monthly favorites coming on the blog later this week!